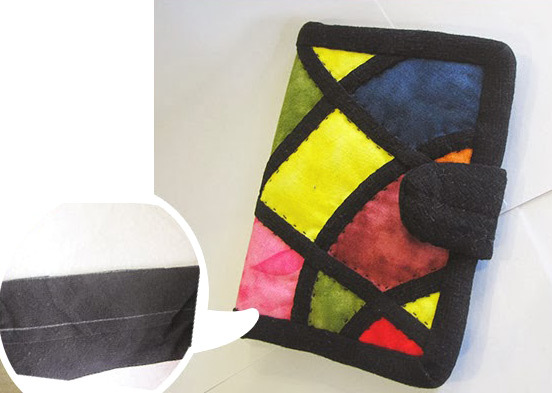 Business Card Holder Patchwork Tutorial ~ DIY Tutorial Ideas! Materials: batik fabric (Many colors), batting, black fabrics, backing, bussiness card holder, magnetic snap-fastener, thin fabrics, fusible web, interfacing. 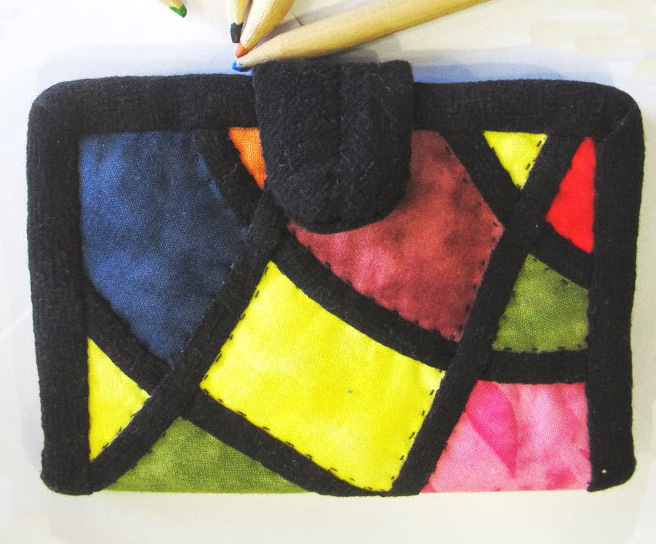 Tools: Needle, thread, scissors, ruler, fusible bias tape maker (6mm), pencil, color pencil, white paper, patching pins. 1. 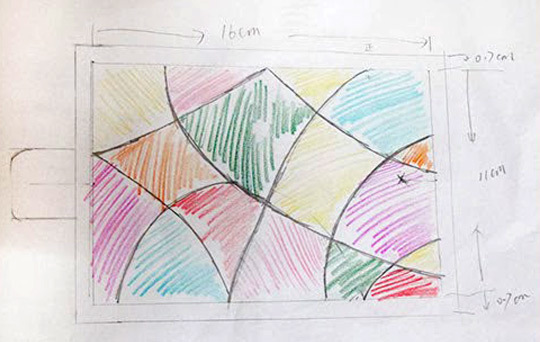 Draw a-16 cm x11 cm rectangular on a white paper (the same size with the opened business-card-holder), leave 0.7cm for outer edging. Draw some lines randomly, then color it with color pencils. 2. Copy the pattern on the thin cloth. Mark the number and color. 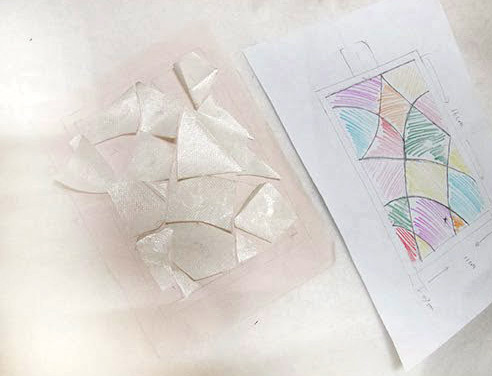 Copy the pattern on the interfacing, then cut it with scissors. 3. Iron the interfacing to the wrong side of the chosen batik fabrics. 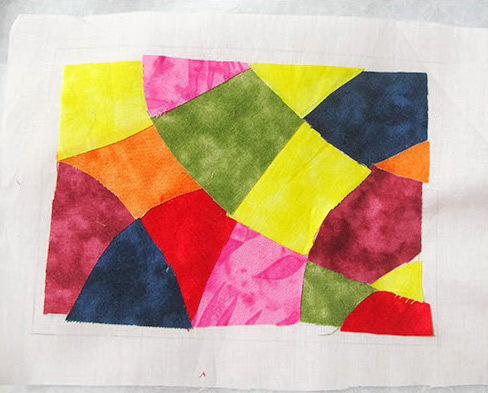 Cut them with scissors and remove the backing paper of the interfacing. Iron the fabric pieces on the thin cloth following the pattern. Then iron them to flat. 4. Cut the black into 1.2cm-wide bias tapes. Use the bias tape maker to make them into bias tapes. As shown, put the fusible web on the bias tapes, pull slowly and iron them. 5. 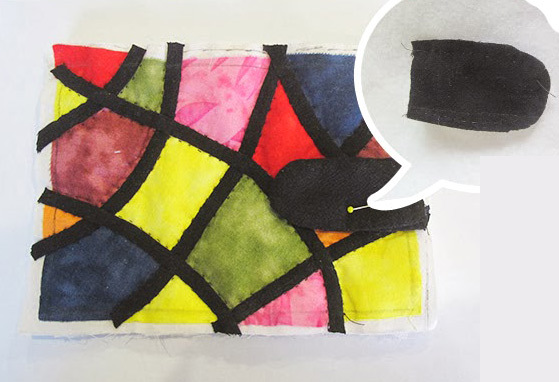 Remove the backing paper of the fusible web. 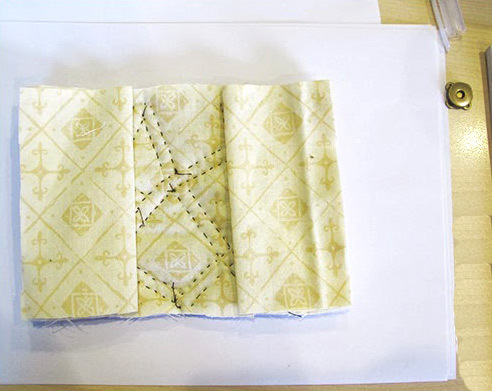 Iron them along the seams and then patch them with black thread to finish the pattern. 6. Baste the finished pattern, batting and backing cloth together, and then quilt. 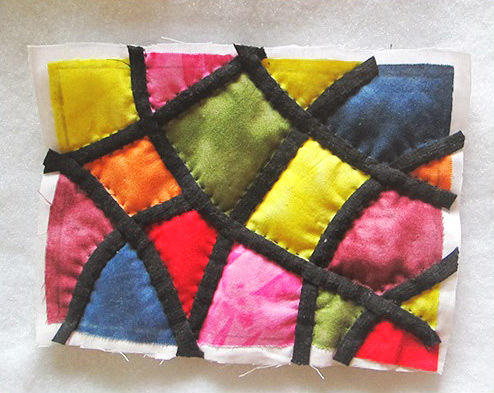 After quilting, use the ruler to reform a 16 cm x 11 cm rectangular. 8. Cut the backing fabric into two 12cm x 11cm blocks. Fold them in half and put to the two sides. Fix them with patching pins. 9. Cut the black fabric into 4cm-wide bias tapse. 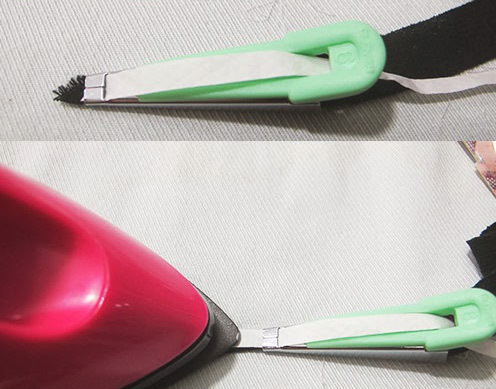 Draw a 0.7cm-wide seam line. Overlock from the surface side. After overlocking, fix the magnetic snap-fastener to the hasp and the surface. It's finished!